The $2.15 Billion Capital Master Plan to renovate the United Nations Headquarters in New York was recognized as the best real estate development of the year by FIABCI-USA, the International Real Estate Federation – U.S. Chapter. The Grand Prix of Real Estate represents outstanding achievement in construction, design and environmental consciousness and was awarded as a part of the FIABCI Asia Pacific Real Estate Congress in Honolulu, HI. After almost 60 years of service as a center of world diplomacy, the United Nations and lead contractor Syska Hennessy completed its multi-year, multi-billion dollar phased Capital Master Plan last year and turned its aging compound into a more sustainable and secure, more efficient, safer and accessible facility fit for the 21st century. “As members of the UN Economic and Social Council, we were able to return to the refurbished UN Headquarters earlier this year to see firsthand this impressive revitalization,” stated FIABCI-USA President Ruth Kruger. “There is no better symbol of excellence in real estate and concern for the environment than this careful restoration.” Additional projects receiving awards were the Special Purpose Property Award to the Ann & Robert H. Lurie Children’s Hospital in Chicago; the Luxury Residential Award to the Montage Residences at Kapalua Bay, Maui, HI, represented by Lisa Hatem Real Estate Company; the Residential Low-Rise Award to Ka Malanai, Kailua, HI, developed by D.R. Horton-Schuler Division; and the Residential High-Rise Award to ONE Ala Moana, Honolulu, HI, developed HHMK Development LLC, a partnership comprised of Howard Hughes Corporation, The MacNaughton Group and Kobayashi Group. The Grand Prix of Real Estate is the national level qualifying round for the FIABCI World Prix d’ Excellence competition to be awarded at the 67th FIABCI World Congress in Panama City, Panama in May 2016. 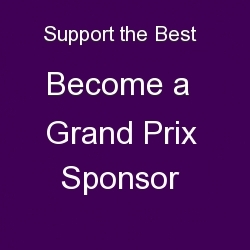 The Grand Prix of Real Estate is sponsored by The Wall Street Journal, Hard Rock Hotels, Wells Fargo Home Mortgage, Leading Real Estate Companies of the World, Alain Pinel Realtors in San Francisco, the Honolulu Board of Realtors and Kruger and Company, Aspen, CO.